Are you looking for the best places to retire in Vermont? This website has useful data and opinions about the best places to retire in Vermont, including exciting active adult retirement communities in the Green Mountain State. This New England state is the 49th state in terms of population with 626,000 people (median age of 42. 4, 5 years higher than national median). It has the Green Mountains in the west and beautiful Lake Champlain in the northwest. The largest town in the state, Burlington, has only 39,000 people. Montpelier is the capital. There are many beautiful rural towns sprinkled through the state. Vermont tends to attract hardy souls who love the outdoors and the change of seasons. The Wikipedia entry for Vermont has more facts. Updated Dec. 2016. The Vermont climate is called humid-continental. There are 4 seasons. Summers are mild and winters are cold with frequent snowstorm. In fact most Vermonters are rooting for big snowstorms since they mean good skiing and tourism. At $55,176, Vermont's inflation adjusted household income in 2010-14 was slightly above average for the United States. Vermont has the 10th highest cost of living according to the MERIC index. According to Zillow.com the statewide median home price listing was $233,900 in late 2016. In the first quarter of 2013 the median home price in Burlington was $296,000, much higher than the national median of $240,900 (NAR). Prices near some of the ski resorts can be quite a bit higher. Tax Burden: At 10.3%, according to the Tax Foundation, total tax burden in Vermont is the 11th highest in the nation. Marginal Income Tax Rates. Vermont's top marginal income tax rate is 8.95%, which kicks in at $373,650. Retirement Income Exemptions. Most pensions are taxed. Social security exemption. VT is one of the few states that taxes social security income. Sales Tax: State sales tax is 6.0%. Property Taxes: Property taxes per capita are the 5th highest in the nation at $2331 per capita. Homestead Exemption. Vermont has certain exemptions for people with lower incomes and veterans. See Property Tax Adjustment. In 2014 Topretirements rated Vermont as one of the worst states in the country for retirement. Vermont does not have a certified retirement community program. Vermont has some wonderful small towns and cities. It is a great state for active adults and people over 50 who like to be outside and not crowded. Many baby boomers have skied in Vermont and come to love it, then choose to retire here. Montpelier is the capital and adjacent to the mountains. Burlington is an exciting college town on Lake Champlain that is also near the Green Mountains. Topretirements has profiled a number of towns that make great retirement communities including Brattleboro, a fun town in the southern part of the state and Waitsfield Warren - which is uncrowded and near the great ski resort of Sugarbush. 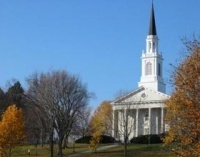 The college town of Middlebury is the home of Middlebury College in the west central part of the state.